Some six months prior to the start into the 2019 DTM season, the support programme of the series already is virtually booked up. The motor-racing enthusiasts may look forward to witnessing a multifaceted on-track programme, on the nine race weekends. For three days per weekend, from morning to evening, the motto will remain ‘Feel the Roar’, even if the vehicles of the popular touring-car series aren’t in action. After all, the schedule is packed with high-quality race series. “For DTM, the introduction of the new 600bhp four-cylinder turbo engines for the 2019 season and beyond represents the beginning of a new era,” says Achim Kostron, Managing Director of DTM umbrella organisation ITR GmbH. 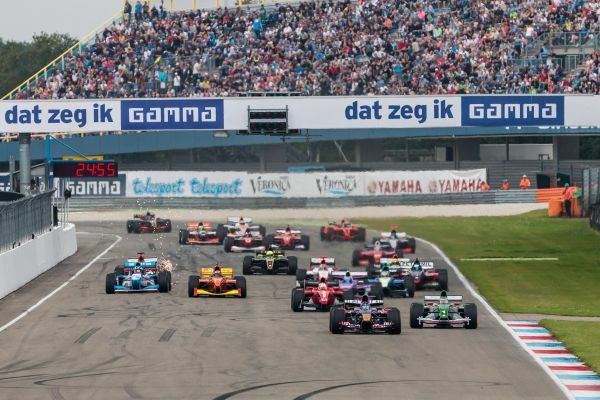 When ITR announced the 2019 DTM calendar just a few weeks ago, during the season finale, Formula 3 and W Series already represented integral parts of the DTM race meetings. And now, the programme of nearly every race meeting has been finalised. Particularly remarkable: after a one-year break, the Porsche Carrera Cup is going to make its comeback on the DTM platform. In six of this year’s race meetings DTM will be accompanied by Porsche one-make series. 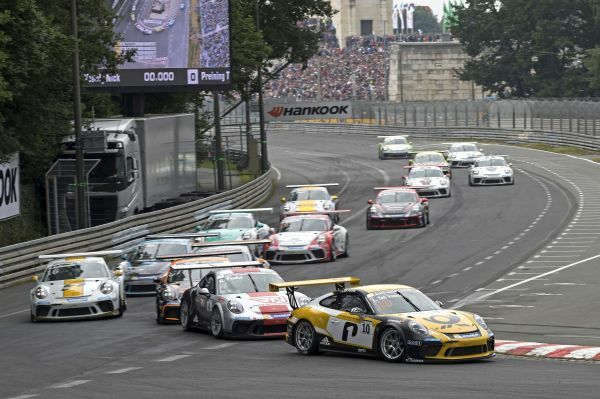 The Porsche Carrera Cup Germany will contest races in the DTM race meetings at the Hockenheimring (season opener) and the Norisring, with the Porsche Carrera Cup Benelux representing the Zuffenhausen based manufacturer at Zolder, Assen and the Nürburgring. And at Misano, the Porsche Carrera Cup France will be part of the programme. In addition, the DTM fans may look forward to a true world premiere. The newly created, international W Series is going to contest its races for the time being exclusively in the DTM support programme. Girls and young women from all over the world will fight not only for pole positions, points and race wins but also for a prize money amounting to 1.5 million US Dollars to offer them the chance of making the next steps on the international motor-racing ladder. The cars are equipped with 1.8-litre four-cylinder turbo engines and conform to the latest safety specifications of the International Automobile Federation, FIA. The W Series will accompany DTM during the first six race meetings (Hockenheim, Zolder, Misano, Norisring, Assen and Brands Hatch). Integral part of the 2019 DTM support programme is the new Formula 3 series created by ITR subsidiary ‘Formel 3 Vermarktungs GmbH’ that will be contested with single-seaters that were used in the 2018 F3 European Championship. Formula 3 will contest three races on every DTM race weekend. Following its successful debut in 2018, the Audi Sport Seyffarth R8 LMS Cup will make appearances in five DTM race meetings (Hockenheim season kick-off and finale, Misano, Lausitzring and Nürburgring). When DTM is making its comeback at Zolder, the Belcar Endurance Championship with its diversified GT touring car grid will make for a true motor-racing highlight. And at Assen, things will get really loud. In the DTM premiere at the Dutch circuit, the race series BOSS GP will join DTM. The acronym stands for ‘Big Open Single Seater’ and includes single-seaters of different series: GP2, World-Series-by-Renault, IndyCar and Formula Superleague. 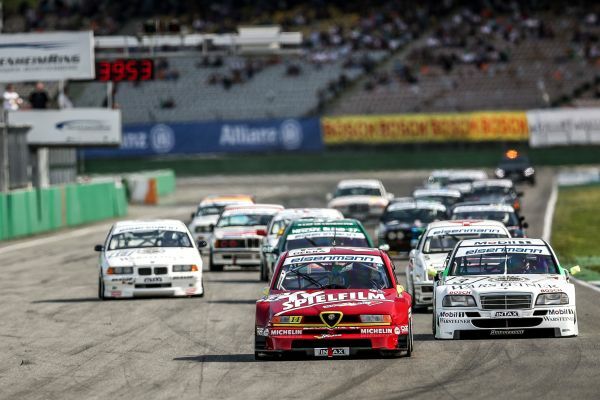 Just as it was the case in 2018, the ‘Tourenwagen Classics’ will be a part of the DTM support programme on two race weekends: classic DTM vehicles of the 1980s and 1990s will make for nostalgia at the Lausitzring and the Nürburgring. And three times, at Assen, Brands Hatch and the Nürburgring, the popular Lotus Cup Europe will be part of the race meetings. A DTM weekend is not only pure racing but also a great event for the entire family. In addition to already established attractions, such as Pit View, Fan Village and Fan Terrace, concerts and autographing sessions make for a lot of good entertainment and variety.